Coupon Description: HomebrewSupply.com currently has a promotion going on where you can save 20% on homebrewing bags, strainers, funnels and more! Coupon Description: MoreBeer.com currently has a coupon code that allows you to save some cash on a homebrewing bottle washer! This More Beer coupon code is for a homebrewing beer bottle washer! Mark’s Bottle Washer is designed to work as an add on to Mark’s Keg and Carboy Washer. The bottle washing system allows you to clean (30) 22 ounce bottles. With this beer bottle cleaning system, you can wash, rinse and sanitize enough bottles for a standard 5 gallon batch of home brewed beer. 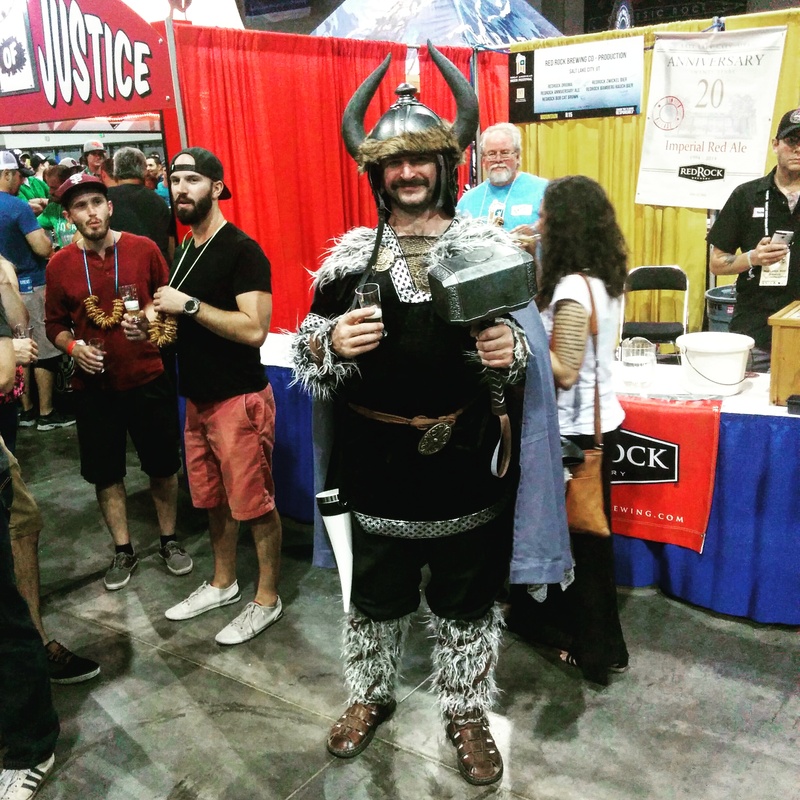 Thank you for checking out the Home Brewing Deal Blog! Coupon Description: HomebrewSupply.com currently has a promotion going on where you can save on a 10 Gallon Mash Tun Cooler for Homebrewing. This deal of the day promotion by HomebrewSupply.com is for a cooler style 10 gallon mash tun for all grain home brewing. This 10 gallon converted Igloo cooler mash tun has a 1/2″ ball valve and bulkhead. Coupon Description: MoreBeer.com currently has a coupon code that allows you to save on a Amarillo Pale Ale Single Hop Extract Beer Kit! This More Beer coupon code is for a homebrewing Amarillo Pale Ale Single Hop Beer Kit. This Amarillo Pale Ale recipe is based off of a Pale Ale, the malt in this recipe is basic and fairly neutral, the bittering clean and consistent, but the flavor and aroma from the late hop additions will vary; sometimes dramatically! Sale on a Homebrewing Keg Kits! 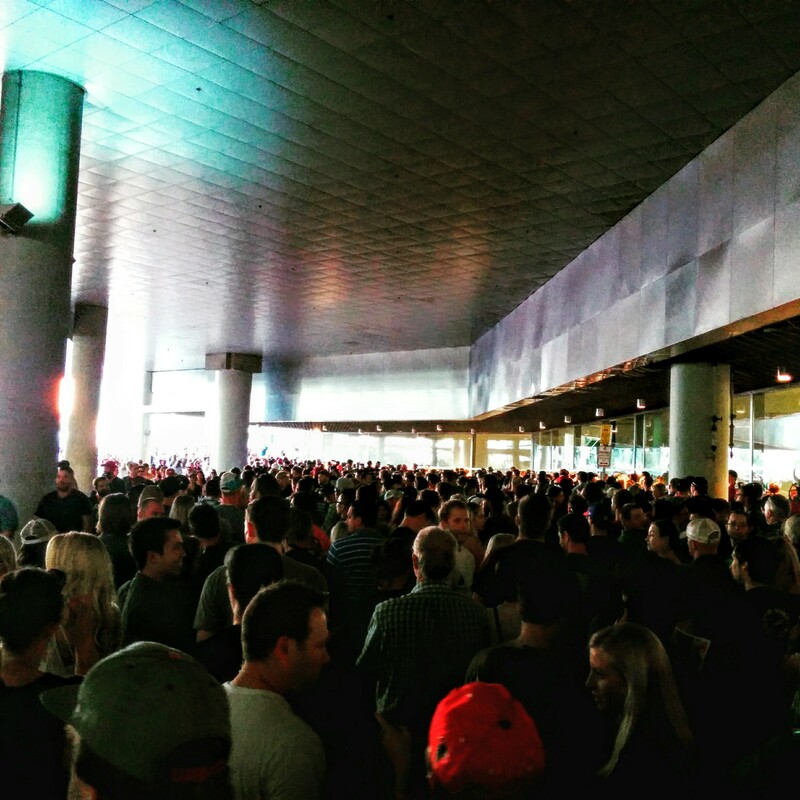 The entrance to the Great American Beer Festival on Saturday 9/26/2015. A very large crowd formed prior to them opening the doors for the festival. Despite the large number of people, everyone was calm and in good spirits, I did not notice one fight or argument while I was there. 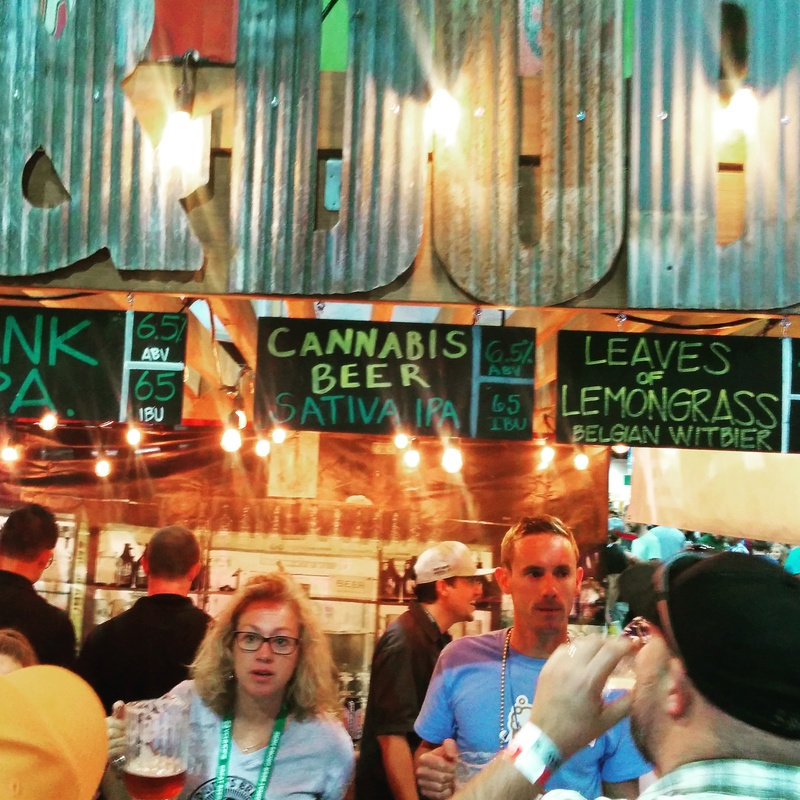 Perhaps the largest line of the festival was surrounding Dudes and Brews who was serving a Cannabis Sativa Beer at the event. From my understanding it was the only weed or cannabis beer at the event. Here was the scene at the Sierra Nevada Brewing both. They had a large crowd and were serving several beers. Here was Russian River’s both. I suppose that when your beer is as good as theirs, you don’t really need a flashy both. I reached their location about an hour after they let everyone in and all that was left was their Porter. 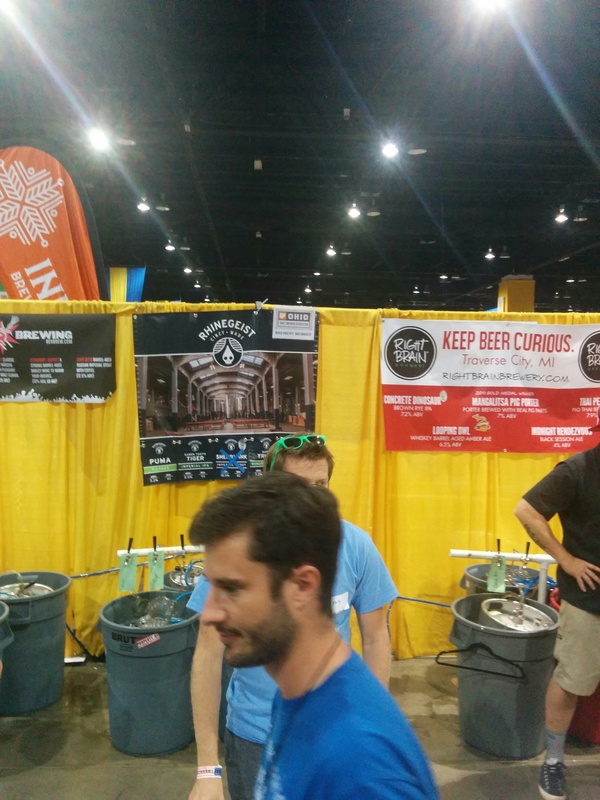 RhineGeist Brewery made it to the Great American Beer Festival this year and had several beers on tap. 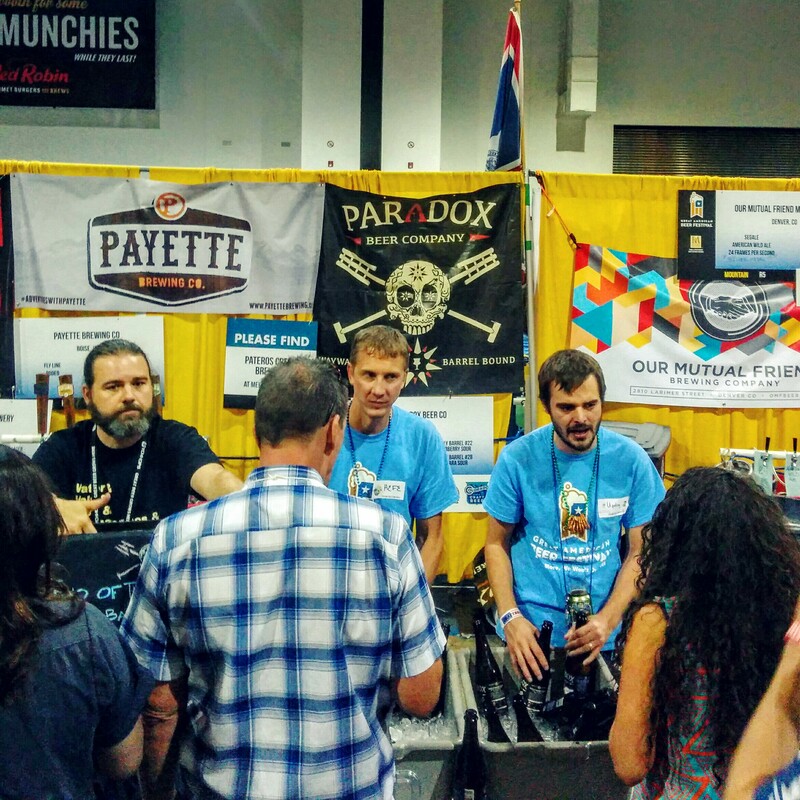 One of my new favorite breweries, Paradox brewing was at the Great American Beer Festival and were serving beer all night. 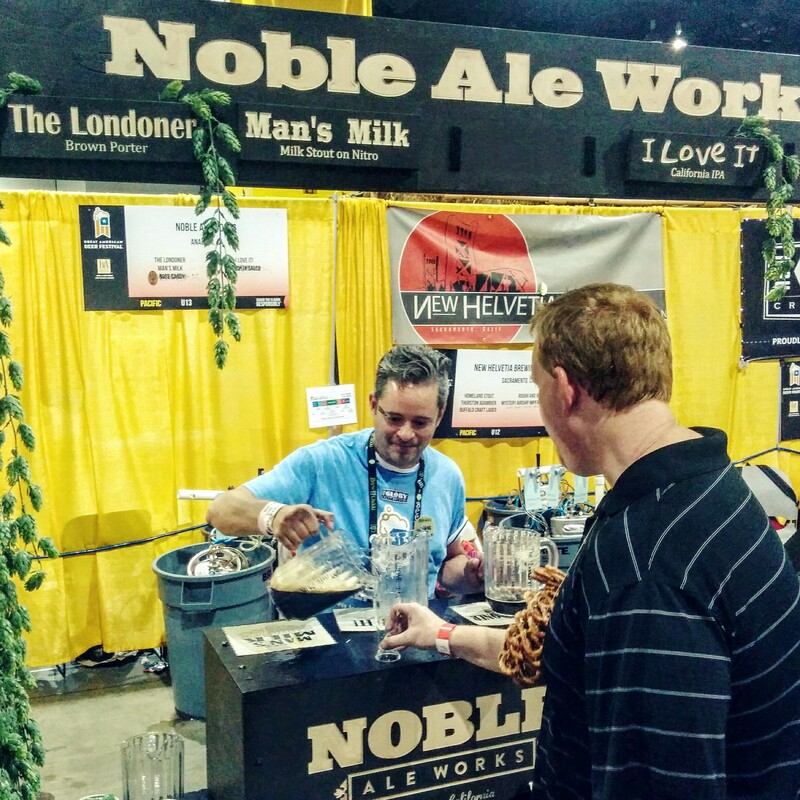 Their were several Orange County California Breweries on hand at the Great American Beer Festival, including Noble Ale Works. 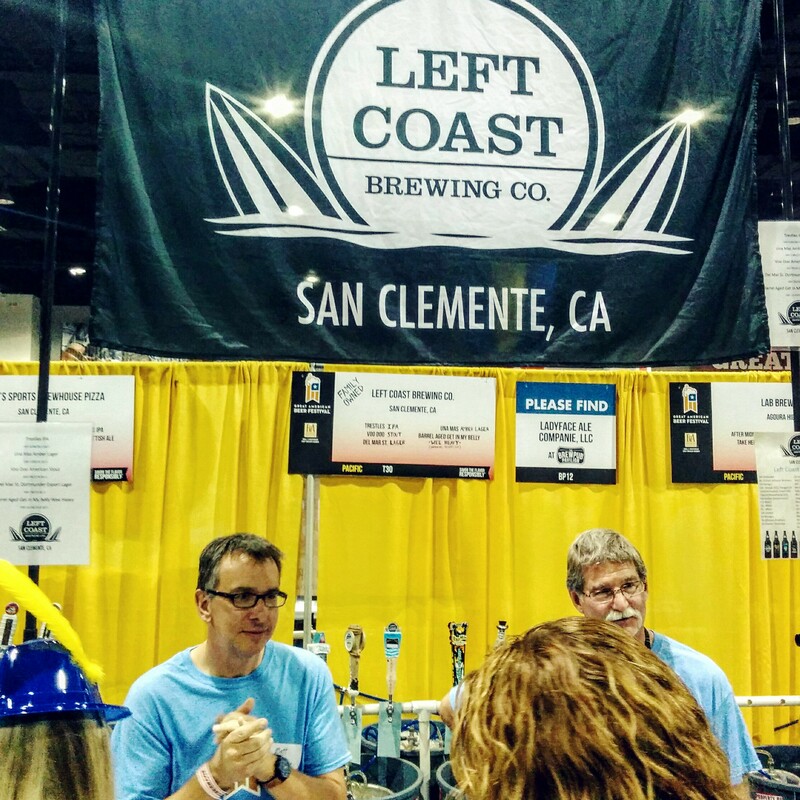 Left Coast Brewing was on hand at the Great American Beer Festival 2015 as well serving up several beers. The line was not long but the beer was great. Growler Werks was on hand with a new like of growlers that lets you control the CO2 pressure so that your craft beer or homebrew does not go bad. 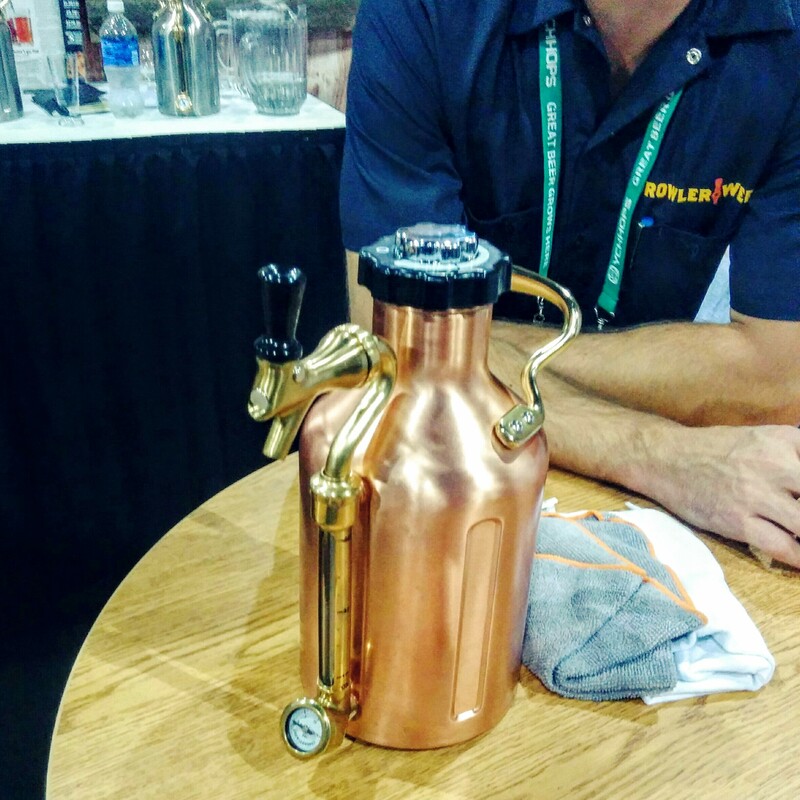 The rep from Growler Werks even informed me that you can force carbonate your home brewed beer in these growlers. If I have a chance to review one, I will give you all the details. 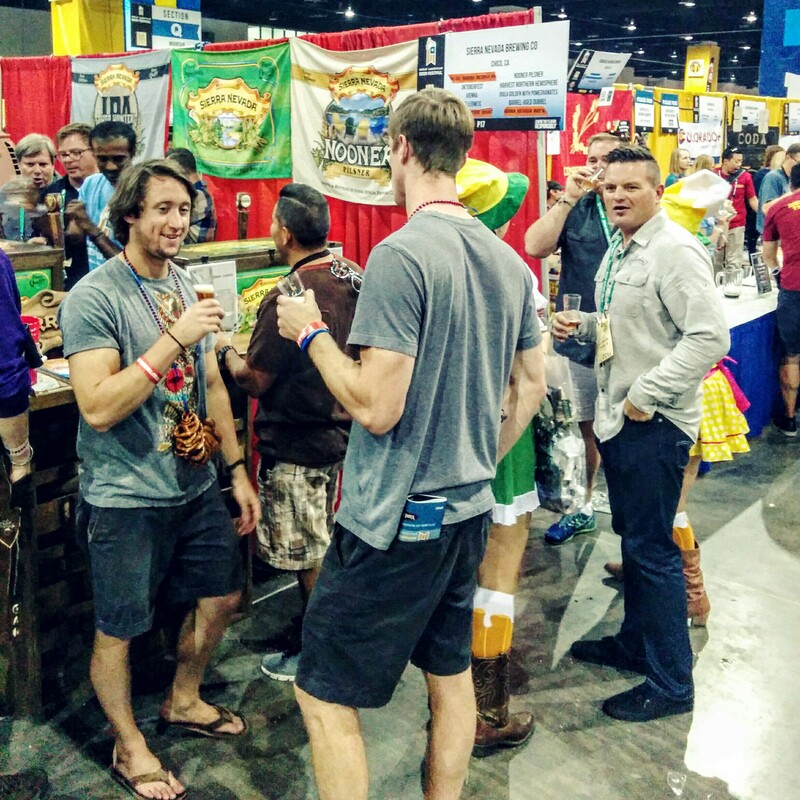 Tons of West Coast Breweries were on hand, including many from the San Diego area such as Green Flash. 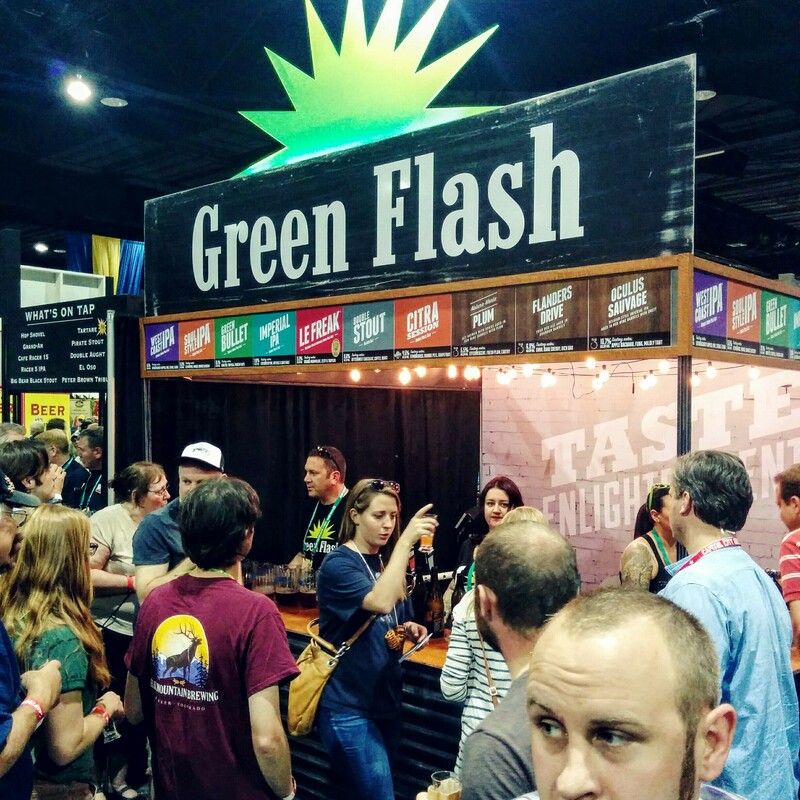 Green Flash had a large both at the Great American Beer Festival and were serving a ton of beers. 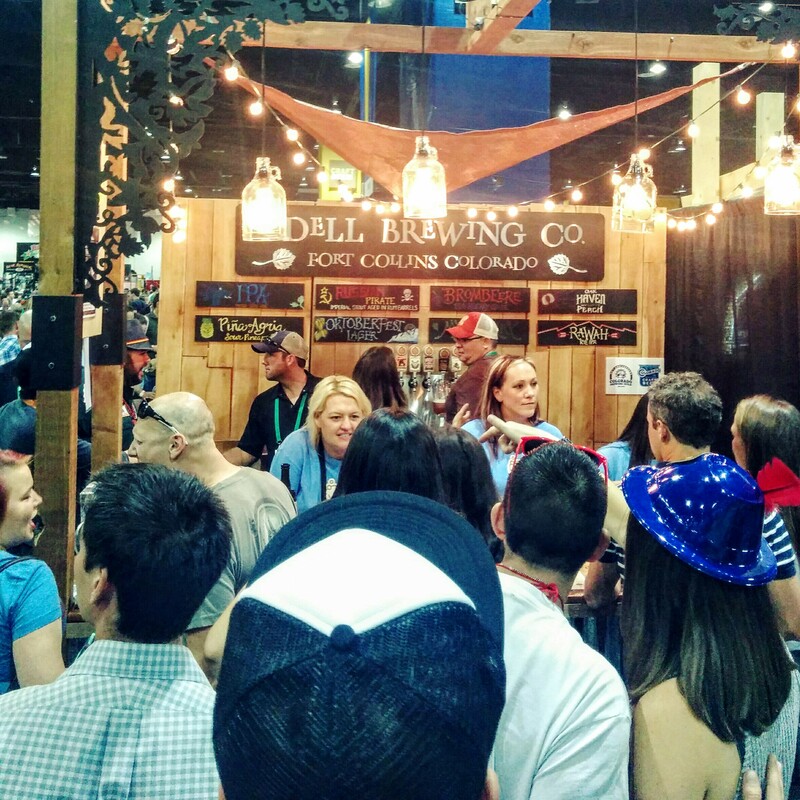 It was not just the brewers and breweries on show at the Great American Beer Festival 2015. Many fans came dressed up such as this fine gentleman who would greet everyone with a wave or high five. 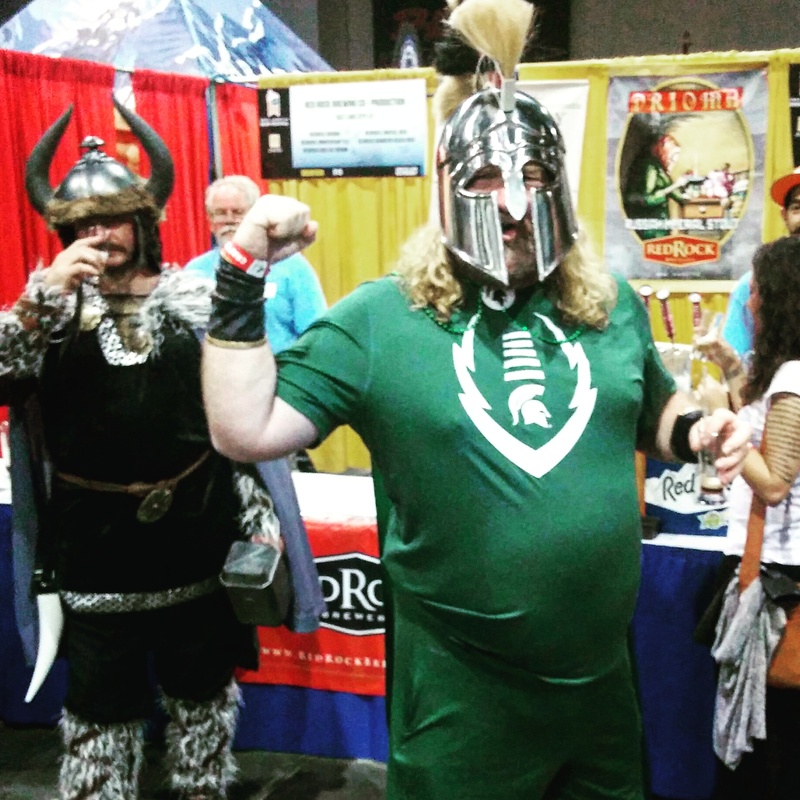 And the viking was not alone, here is a photo of his buddy who was in an equally great mood! 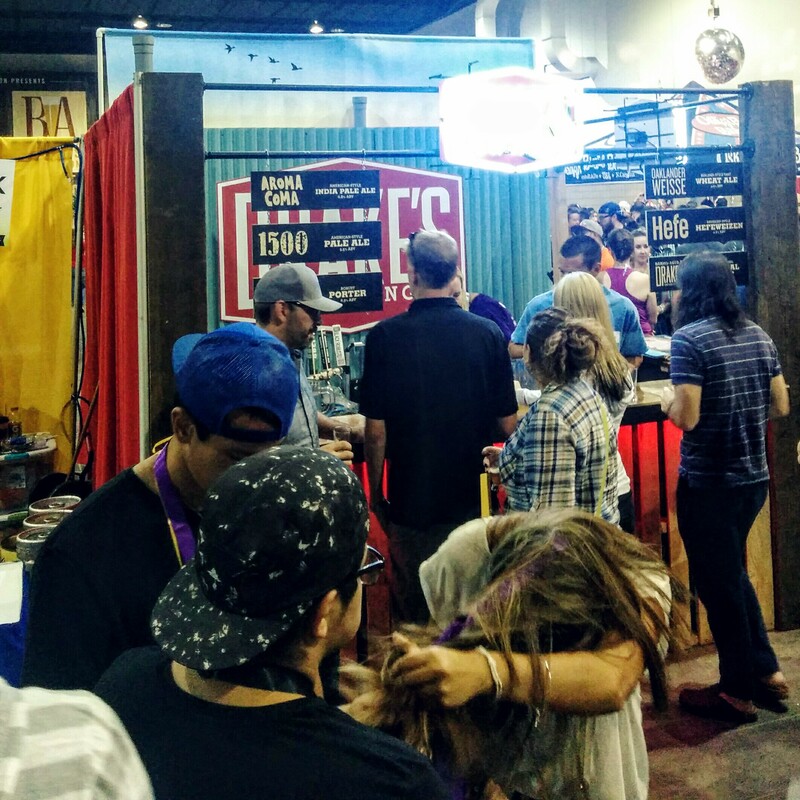 I am not to sure what this lady was doing with her hair, but Drake’s Brewery was also on hand. 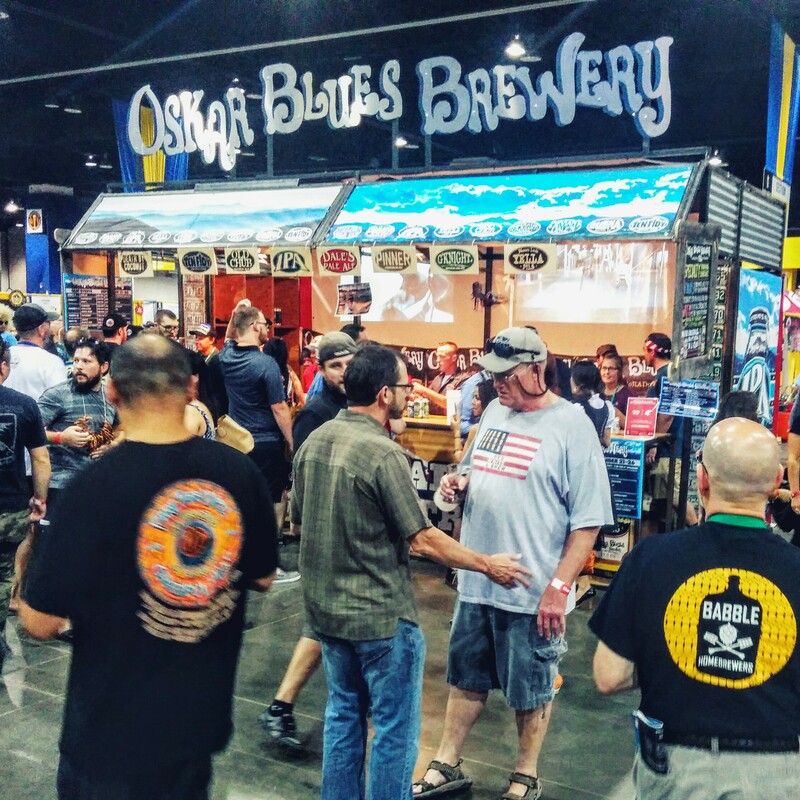 They have one of the best line ups of beer around and a great booth to showcase them. 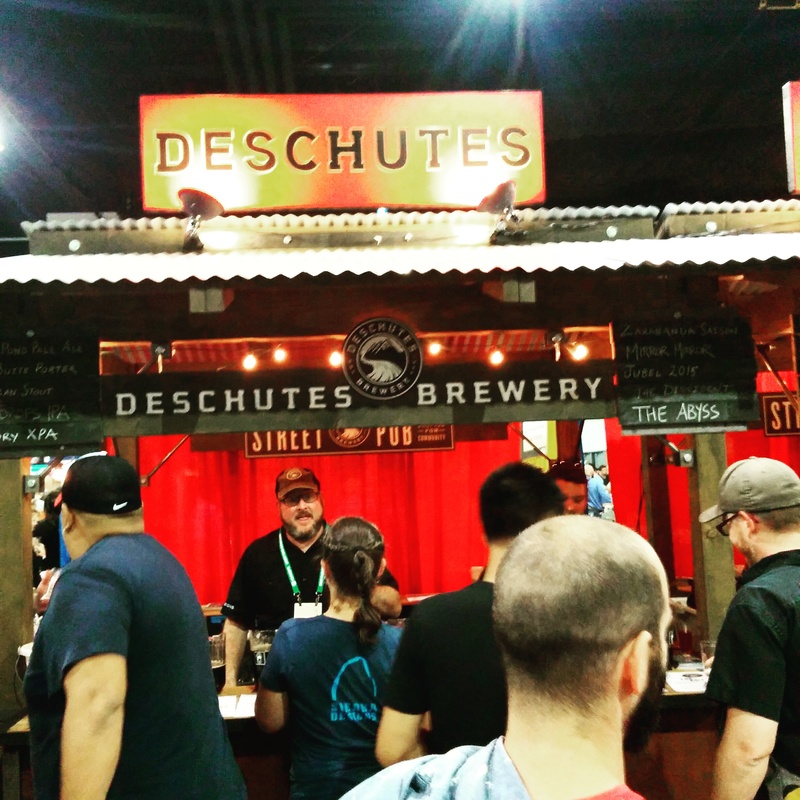 Deschutes Brewery out of Portland and Bend, Oregon were on hand as well. Deschutes is an awesome brewery and they sent some really awesome folks to man their both as well. They are serving some great beers this year as well! 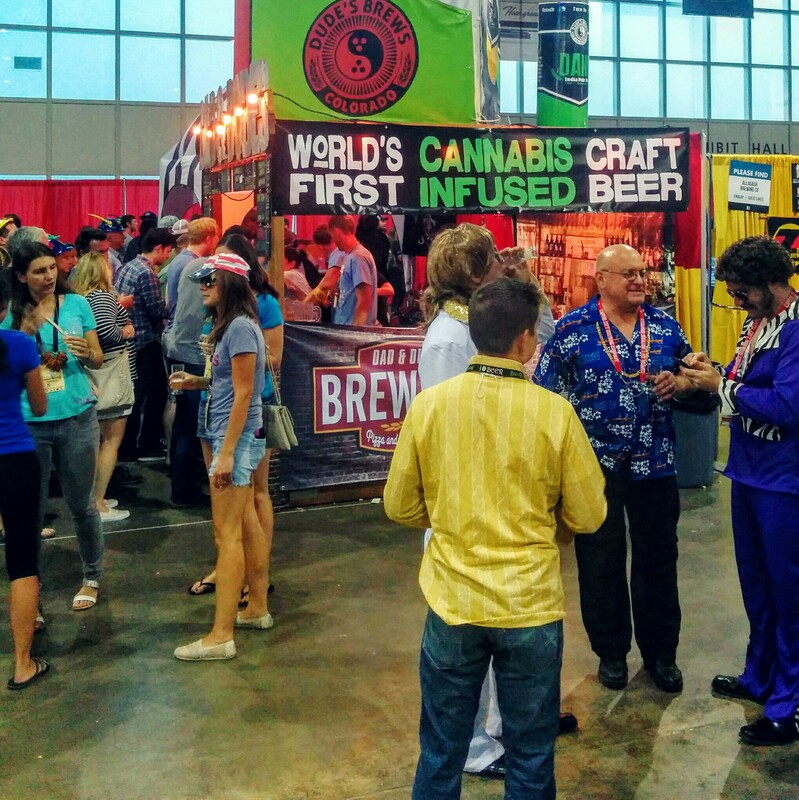 Here is another shot of Dude’s and Brews, advertising the World First Cannabis Beer at the Great American Beer Festival 2015. It seemed to be a big attraction for many of the festival goers. 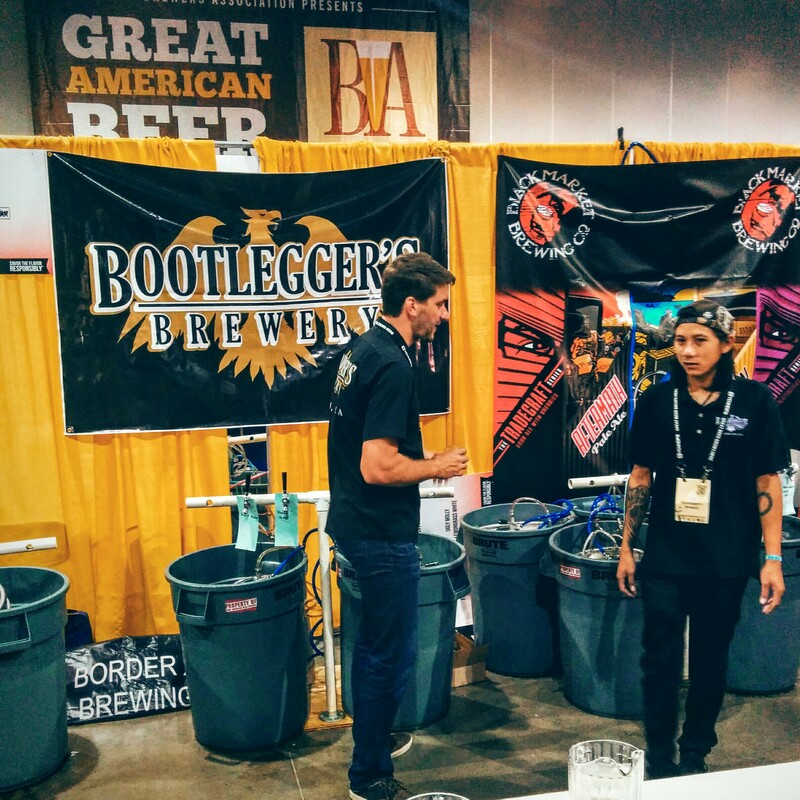 Bootleggers Brewery made it to the Great American Beer Festival as well. The folks they sent were cool and knowledgeable about their beers. 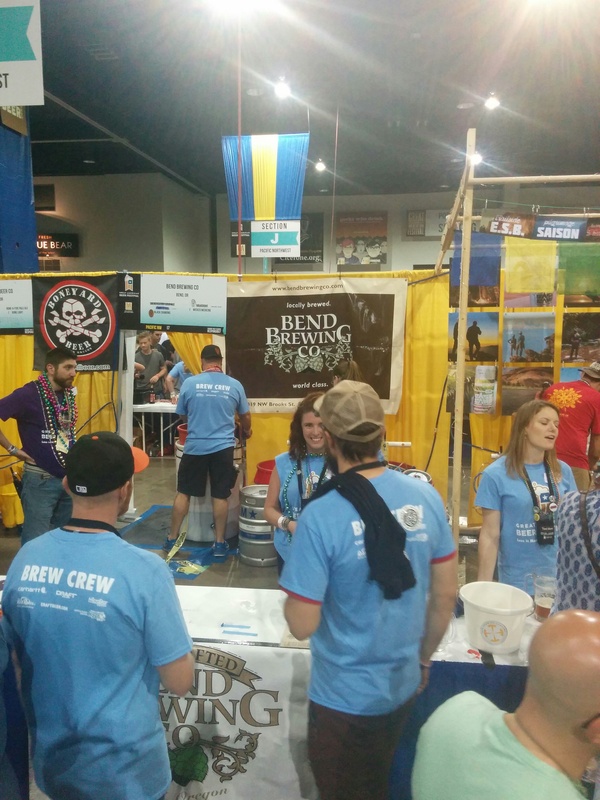 There was a great showing of Oregon breweries as well, including Bend Brewing Company. 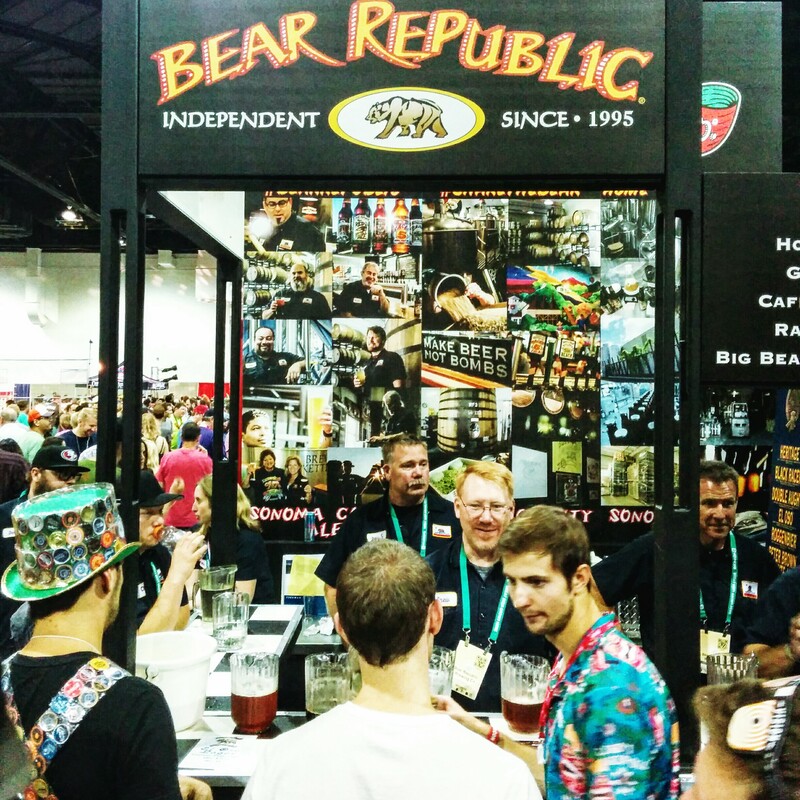 I was glad to see one of my personal favorite breweries, Bear Republic had made it to the Great American Beer Festival. The people working their stand were awesome and the beer was great too! Avery Brewing, another large local craft brewery was on hand as well with a giant booth that had a huge crowd. 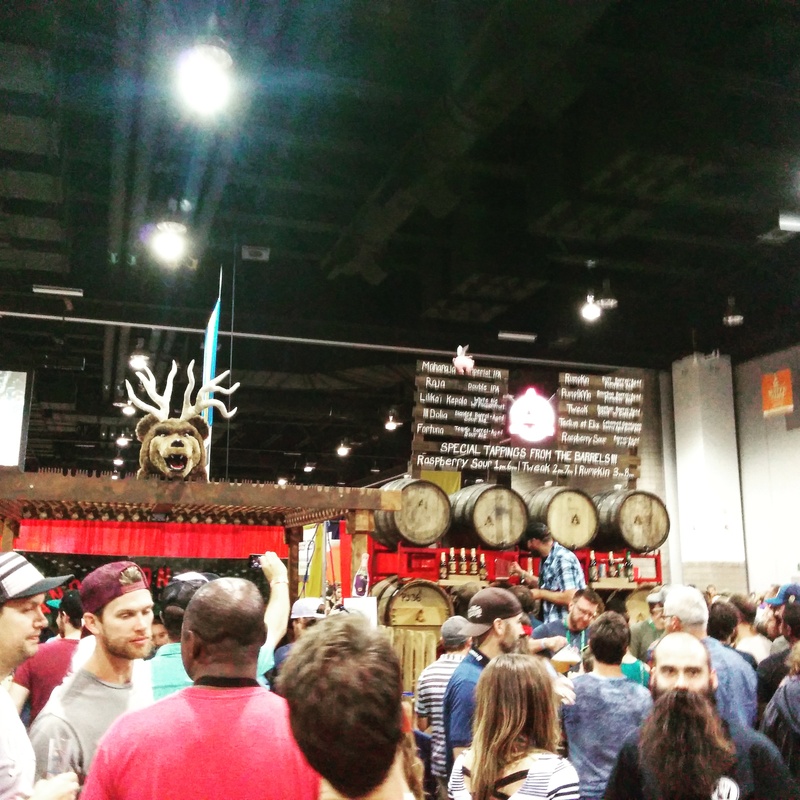 They had an awesome selection of beer and were pouring tons of beer! Coupon Description: MoreBeer.com currently has a coupon code that allows you to save on a camp chef homebrewing burner stand! 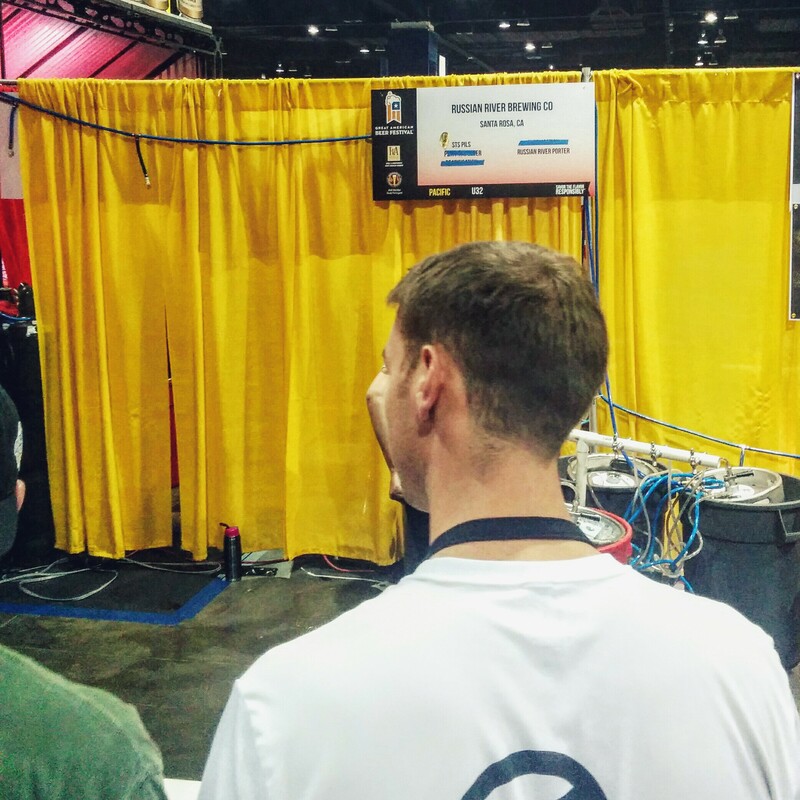 This More Beer coupon code is for a homebrewing burner. The Camp Chef 60,000 BTU Homebrewing Burner is a great way to move your boil from the kitchen stove to the yard. Here are some of the features of this homebrew burner. Sale on a Keg Airlocks! Coupon Description: MoreBeer.com currently has a coupon code that allows you to save on a home brewing keg and carboy washer! This More Beer coupon code is for a keg and carboy washer. The Mark II Keg Washer is built to clean and sanitize kegs and carboys for home brewers and home winemakers. 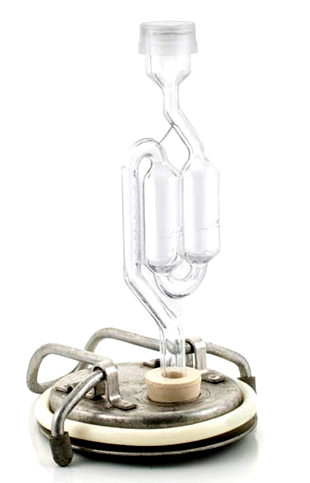 It is also intended to clean or sanitize small items such as airlocks, thermometers, tubing, keg fittings, and more. I personally use one and find that it works great when I am cleaning multiple items.